The Local Government Association (LGA) in its report has urged the UK Government to freeze the landfill tax and increase its spending in waste infrastructure. The report was published ahead of the government’s Budget by the body which represents 423 local authorities in England and Wales. The LGA calls for a moratorium on extension of landfill tax beyond 2014/2015. The body also calls for greater investment in waste infrastructure which would enable the local authorities to meet the set recycling standards in a more efficient manner.The current landfill tax rate is £64 per tonne, which is set to rise by £8 a year until 2014/15. However, the government has not yet said whether it intends to increase the tax or not after 2014/15. As population of the country increases, the associated household waste is also bound to increase. The recycling facilities should be equipped to cope with the increased quantities of waste. The Government should pay more attention in investing in waste infrastructure so that the councils can meet the EU 2020 targets. Significant investment in infrastructure will be required to meet the recycling targets. As waste infrastructure projects often need several years’ lead time, we urge the Central Government, in collaboration with local government, industry and other partners in the waste supply chain, to explore solutions to fill the gaps in waste infrastructure mechanisms. 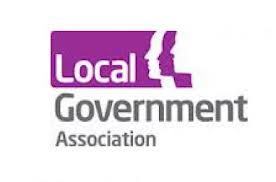 LGA is a cross-party organization that works with Councils to support, promote and improve local government.